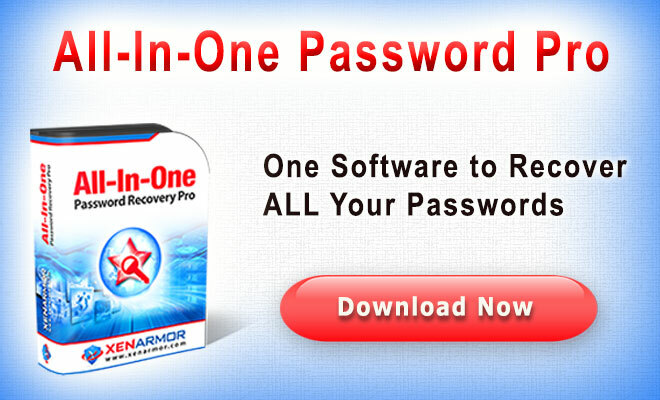 Download Manager Password Recovery is the Free all-in-one tool to instantly recover your lost or forgotten passwords from popular internet download managers. 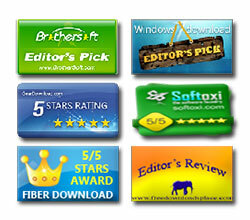 It automatically discovers all the above Download Managers on your system and quickly recovers the passwords. 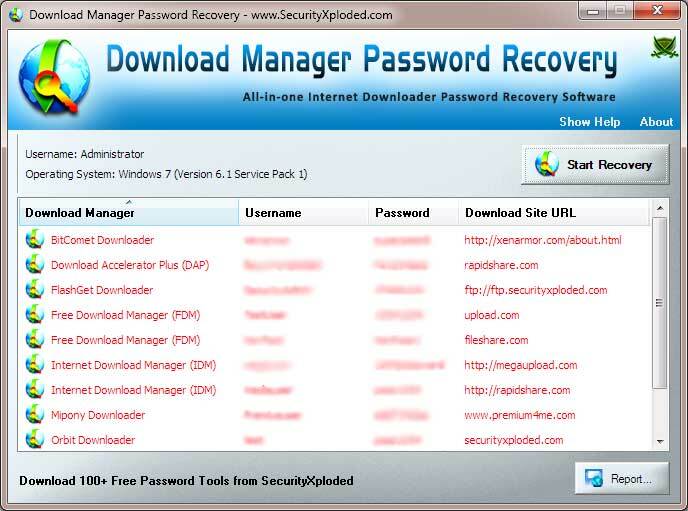 Download Manager Password Recovery is fully portable and works on both 32-bit & 64-bit platforms starting from Windows XP to Windows 10. 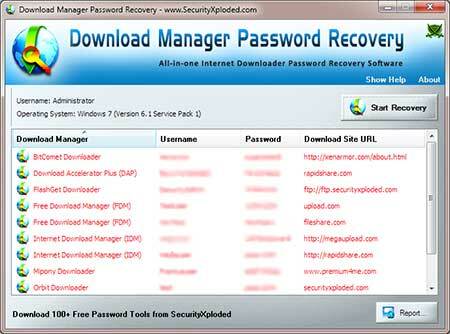 Download Manager Password Recovery is easy to use with its simple GUI interface. 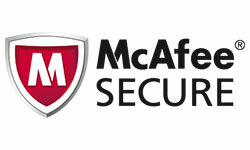 For advanced users & Penetration testers, it also comes with command line interace. Next click on 'Start Recovery' button and instantly all stored passwords from Downloaders will be recovered & displayed as shown in screenshot below. Finally you can save all recovered password list to HTML/XML/TEXT/CSV file by clicking on 'Report' button and then select the type of file from the drop down box of 'Save File Dialog'. 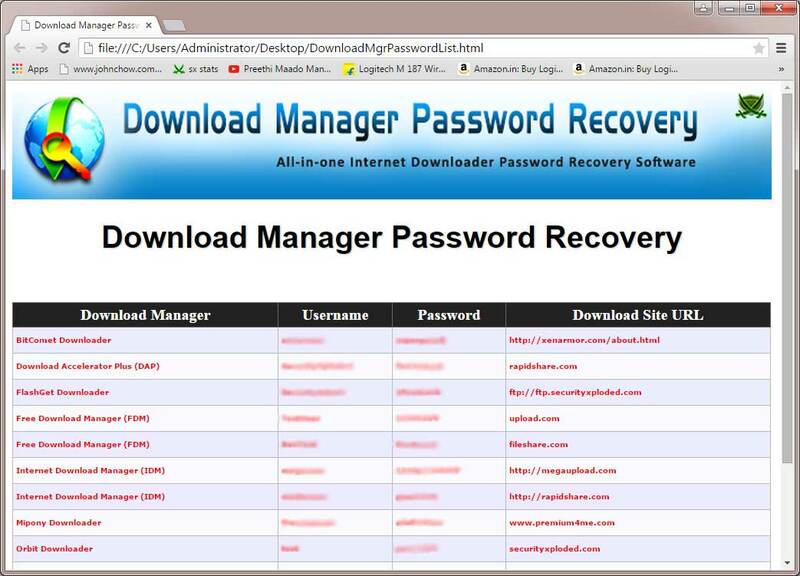 Screenshot 1:Download Manager Password Recovery is showing the recovered passwords from popular Downloader clients. 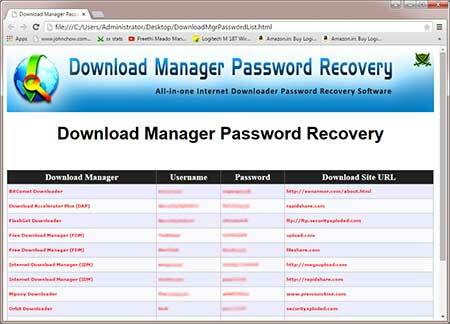 Mega release supporting password recovery from EagleGet, UGet & Mass Downloader. 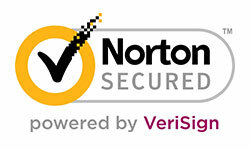 Also now it set to recover and show all the passwords. Mega edition with the support for Windows 10 version. Added more features like right click context menu to copy the password & fixed the sizing problem with higher resolution computers.